Immaculate and beautifully presented three bedroom family home situated in the desirable location of Eggbuckland. 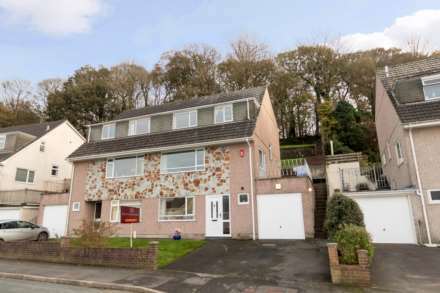 The property offers generous living accommodation comprising of a lounge, modern fitted kitchen/dining room, downstairs w.c, three bedrooms and modern bathroom. Externally the property boasts landscaped front and rear gardens making this home equally as impressive inside and out. The property also benefits from a nearby garage, double glazing and gas central heating. Please click on our virtual tour to take a fantastic walk through of this great family home! Enclosed landscaped rear garden mainly laid to decking with various plant and shrub borders. Enclosed low maintenance landscaped rear garden mainly laid to paving and decking with various mature plant and shrub borders. Gated rear access with pathway leading to nearby garage.